I'm fresh from my escape pod on the surface of a harsh alien environment. All I'm left with is a pistol, my squad, and a fresh list of contracts. There's no time to drop in a thinking man's pose and mull things over, as there are other teams who have a similar list of contracts. And many of them have their own troubles, outside of simply wiping me and my team off the face of the planet. This is The Cycle, one we'll repeat again and again. The Cycle is the latest game from Yager Development, the studio many know as the developer of 2012's Spec Ops: The Line. Yager has worked on Dead Island 2 since, though publisher Deep Silver ultimately decided to move in a different direction. 2017 saw the release of Dreadnought, a game that had promise, but ultimately didn't find a large enough audience. Now Yager is back, trying its hand at self-publishing its next title. The Cycle doesn't fit neatly within one genre. 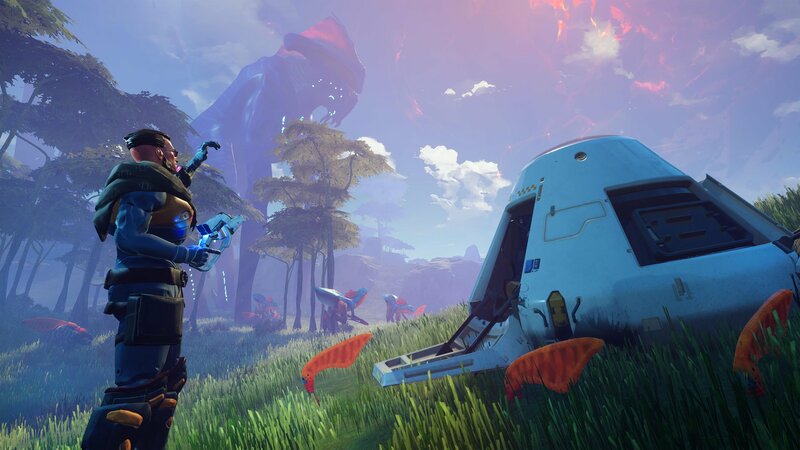 At its heart, it is a competitive online shooter: you land on the alien planet of Fortuna III and you can kill opposing players and teams to stay alive. But you can't win through killing alone. Each team is given a series of contracts. Your focus is to complete more contracts than other merc teams and then get yourself off-planet. PVP is important, sure, but PVE is just as necessary for winning. It's a PvPvE title. That's a concept normally associated with games like Ark: Survival Evolved, but The Cycle has more focused, shorter play sessions, as opposed to the open servers of survival titles. Destiny 2's Gambit mode is also PvPvE, collecting motes and banking them, while also killing other players, but The Cycle tries to offer more variety outside of two modes of play. This variety comes in the contracts you'll receive on the fly in each planetary drop, covering a wide variety of tasks available on the planet's surface. You can hunt down Letium gas deposits and drop a refinery to collect that gas for your team. You can salvage research drones from camps left behind, or power up those same facilities. Particularly bloodthirsty players can hunt down marked alien creatures around the map, and certain objectives whip the local wildlife into a frenzy, sending them to attack your position. These are also contracts aimed at drawing out the conflict between players and teams. Sometimes, an uplink relay will go live, giving you a chance to capture it. Hold it for a good amount of time and it'll net you a lot of points. Or there's Zeal Shards, which also give a good amount of points, but you can clearly track a player who's holding a shard. And most of all, there's the evacuation period, where all the players have to reach the evac ship to leave the planet with their goods. Nothing causes more fighting like every team converging upon one point. Yager wants players to measure their options with regards to PVP and PVE. You don't have to fight other teams, and many times it's better to avoid them. My first test match with the Yager developers ends in failure because we were too focused on attacking other players and not enough on finishing our own contracts. You can see your placement at all times, which adds to the tension; we were 5th out of five teams (20 players in a match) at the halfway point of the match, which shifted us from our PVP-only focus to more contract completion. Unfortunately, at that point, we were too far behind to catch up. The name of the game wasn't in outright fighting in my demo matches. Instead, we spend most of our time trying to avoid other teams, and find objectives that wouldn't be contested. There was also some crafty play, destroying other teams' gas refinery and replacing them with our own, or taking an active uplink. In the latter situation, we actually waited around the active uplink for the other team to return, and then we killed them. It's a toss-up, though, since you only have a single life: are you confident you can overcome the other players? Even at this early alpha stage, Yager seems to have found the fine line between minding your own business and getting into others' faces. Completing contracts and successfully evacuating-my demo matches were 20 minutes in total-will reward you with experience in the three factions: Korolev, Osiris, and ICA. You'll also find various resources on the planet, including metals and animal bits. This all feeds into The Cycle's overall progression system. At the base level, there are various kits, The Cycle's version of character classes. You'll start with the Basic Prospector kit, which offers a light shield and basic jumping boosters. As you use a kit, it'll level up and give you various bonuses. At level 3, the Basic Prospector gets +5 percent to Speed, for example. Other kits in the demo include the QuickSuit, which gives you the ability to Dodge and Slide, or the Flightsuit, which lets you boost in the air for a limited period of time. There's also a host of Primary Weapons, including bolt-action rifles, assault rifles, grenade launchers, and more, separated by faction. Unlocking a weapon requires getting the blueprint from the correct faction and crafting it with the correct resources. 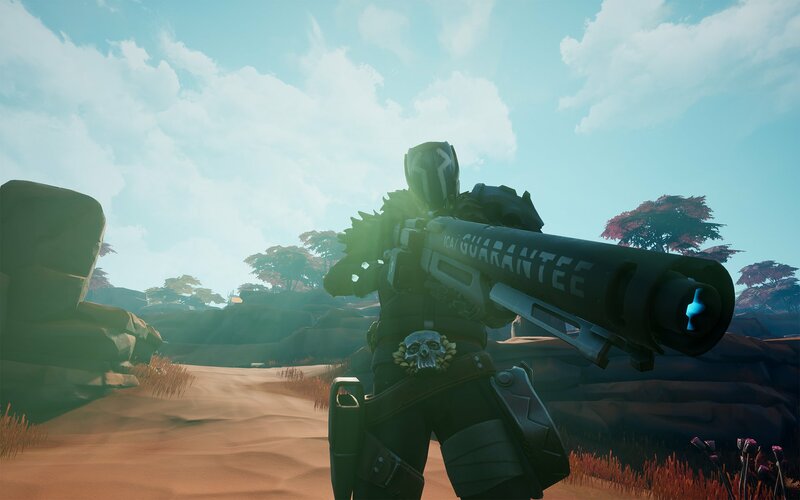 Once crafted and added to your loadout, you can summon the weapon mid-match for credits, which you get for killing creatures and finding loot in human structures. This looks to keep players from starting a match out with a full kit: the better you play, the better weapons you can summon from your loadout. There's a solid foundation here for something interesting and unique, especially within the niche space of PvPvE games. I only had two matches, but there's a strong tension in trying to complete your own objectives while also hunting down or avoiding other players. The Cycle promotes crafty play over outright aggressivenessAnd progression is well thought out, especially for a game only in alpha. Yager knows The Cycle has a long way to go, which is why it is trying to get players into the game early, so it can get feedback and iterate. The Cycle is releasing exclusively on Windows PC via the Epic Games Store later this year. 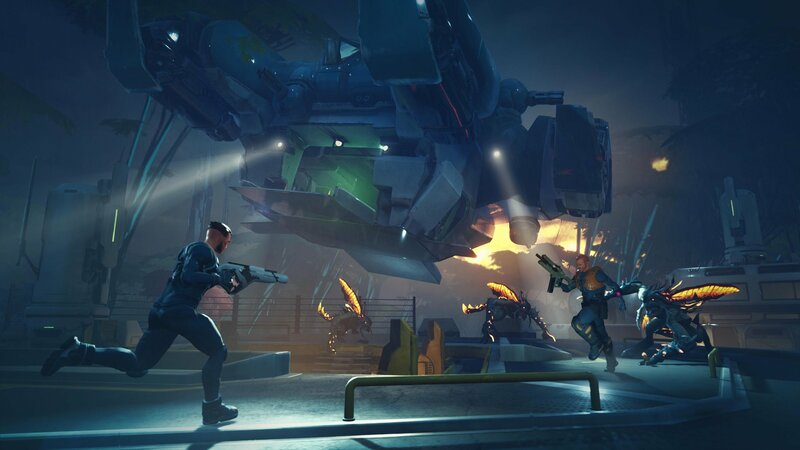 Players can go to the Epic Games Store right now or visit the official website to sign up for The Cycle's three-day alpha test, playable in English, German and Russian, which will run from March 28-30, 2019. Tagged with Articles,	PC,	Shooters,	Yager.